New MoP;NJAC through the back door? Today’s Times of India has reported that the draft Memorandum of Procedure (MoP), prepared by the Government, in response to the direction of the Supreme Court’s Constitution bench in the NJAC matter, has some controversial clauses relating to rejection of the recommendations sent by the collegium. The Times of India has reported that a clause in the draft MoP which has been sent to the CJI last week – provides primacy to the Centre in rejecting any recommendation of the collegium without ascribing reasons, on the grounds of national security. The TOI story, which does not name its sources, further says that the draft MoP does not enable reconsideration of a rejection by the Government, even if the collegium reiterates its recommendation. According to the existing practice, a reiterated recommendation, if submitted by the collegium without any dissent, is binding on the Government. The draft MoP also envisages a three-member secretariat comprising two retired Judges and one eminent person for the Supreme Court and for each high court. The secretariat is likely to screen the list of candidates to be brought before the collegium. This is also not in line with the Supreme Court’s two judgments in the NJAC case, as the Court wanted a role for the secretariat for only collecting data about the proposed appointees, and not to prepare a shortlist for the collegium, as the court did not want to dilute the collegium’s power in this regard. 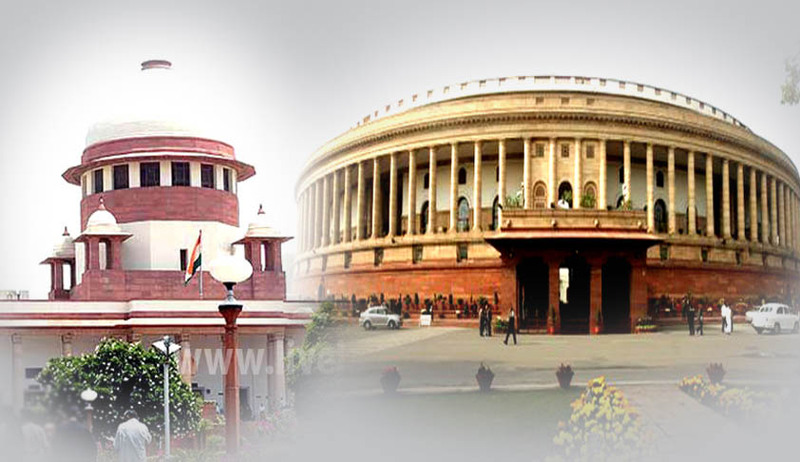 In the NJAC-II judgment, the Supreme Court asked the Government to revise the current MoP, drafted in 1999, in the light of factors, namely, eligibility criteria, transparency, Secretariat, and mechanism for dealing with complaints against proposed appointees. Although the Court delivered its judgment in the NJAC-II on December 16 last year, to improve the working of the collegium, the Government is yet to finalise the MoP, after discussing its draft with various stakeholders, which includes the Collegium, the high courts and the state governments. The silence of the Law Ministry and the law minister, Sadanand Gowda, who is on twitter, on the authenticity of the story in the TOI, has flummoxed observers.